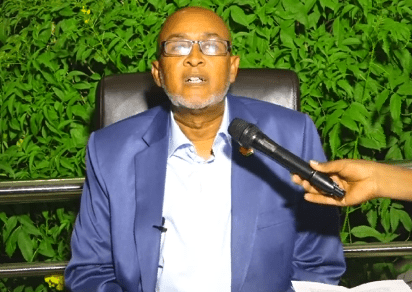 Hargeisa – (warsoor) – Abdirahman Irro Waddani party leader ordered his election representative to halt any corporation with Somaliland Election commission until respond their election compliance on Thursday. Waddani leader held in a press conference in his hometown expressing his concern on election result. “We accept free and fair election, but we would not accept any illegal vote” says Abdiraham Irro. Mr. Irro call his supports to calm down and keep security and stability of country.